“Learn how spirit works, a few simple rules, living a perfect spiritual life is easy”. Why are there so many people talking about raising their consciousness, energy healing, awakening, chakras, enlightenment, human aura, quantum physics and informational paradigm? Why not just live like most people – get an education, find a job, get married, have kids and live a “normal life”? This kind of approach to life actually raises another question: what does it actually mean to be normal? It seems that current scientific paradigm including psychology or any other mind-related science cannot give us a definite conclusive answer or benchmark to this question. One of the ways to describe an etalon state of “being normal” is living in the process of realizing your own creative potential while harmoniously fitting into the ever-changing environment. If you can agree that it is the true meaning of “being normal”, then why do you still need all that awakening consciousness and new spiritual knowledge? As the matter of fact, your mind does not really need to awaken if it is surviving, and doesn’t’ want to experience what real living is about. However, if you want to effectively invest the potential that was given to you on your date of birth and get the best possible return on your investment, then you might want to look into things like intuition, higher-self, and research in higher levels of consciousness. The objective reality that is given to you through your senses gives a chance to experience life in the informational paradigm. It means that in order to go from mere survival towards living in the XXI century, you need knowledge. You need efficient ways to filter out the information that is moving you away from realizing your full potential. You also need to learn how to focus on the information that will actually improve your life and help you achieve your purpose. In the last centuries, people have turned to science and spirituality to answer the question of the purpose in life. Representatives of both science and spiritual realm still argue which of them has the best answer to how the world really works. Neither of them alone can actually give you a practical model that can be effectively used today. Both science and spirituality give you a perspective on the way the universe works. They both give interpretations of the laws that govern your existence and perhaps only by combining both you can get closer to understanding what the purpose of life really is. Both science and spirituality have a common goal and the key to getting the answers is the model of the world that would take into account both. The new field of spiritual science – Infosomatics provides a model of the energy-informational world around you. It helps explain how the human brain interacts with the higher levels of consciousness and offers powerful techniques that can improve the quality of your life in the XXI century of the informational paradigm. It doesn’t go against any spiritual beliefs or scientific discoveries, it offers the physics behind spirituality. 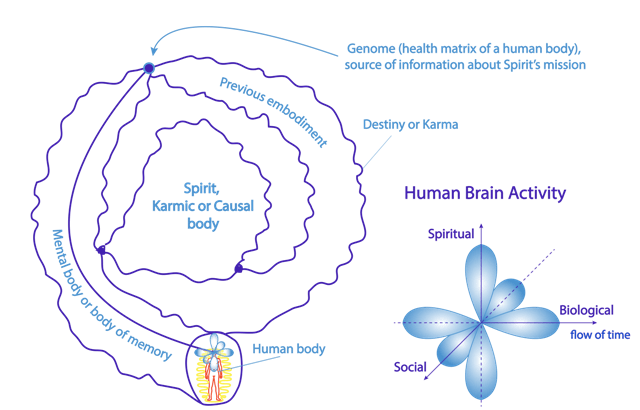 Picture 1: Human brain activity orbital and energy-informational structure which most people know as Spirit, Higher Self or Karmic Body (click here to learn more about the definition of your higher self or Spirit). According to Infosomatics, the human brain is a very complicated radar system. There are three main orbitals of the human brain activity: vertical – spiritual (or creative) brain activity orbital and two horizontal brain activity orbitals –biological and social. On the cosmic scale a human can be compared to an atom that is having its creative, biological and social experience (“… as above, so below…”). Your biological brain activity orbital is responsible for manifesting your physical body in space and time. Your social brain activity orbital is responsible for how you interact with people around you on the energy informational level. Your vertical brain activity orbital is what gives you a chance to communicate with higher consciousness or to be more specific – your higher self. The upper petal of the vertical orbital of the brain activity is your channel of communication with your Spirit or Higher Self. Your Spirit is the architect of the events in your life and it has a plan according to which you can go through karmic challenges in life and find happiness through realizing your potential. One way to look at the higher self is to picture it as a multidimensional vinyl record with information about your life experiences. Vertical brain activity orbital reads the tracks of the vinyl record. 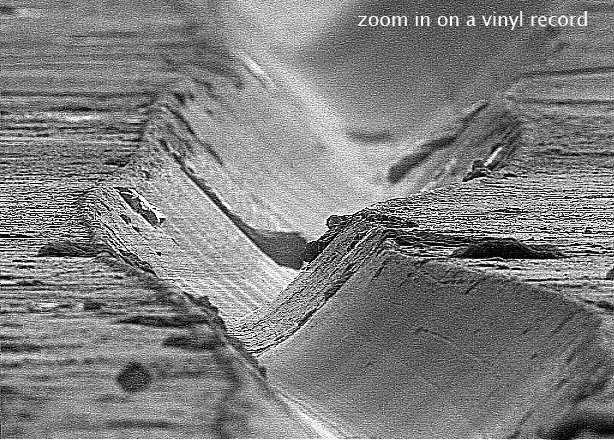 Zooming in on the track of the “vinyl record” will reveal the bumps and holes that create vibration or ‘music’ of the human life. These bumps and holes can be described as karmic lessons you have to go through in the course of life. Unfortunately, most people today just listen to the track without doing anything about the distortions that bumps and holes can cause. They are living in a survival mode without trying to understand the true causes of problems that they experience with health, personal or professional life. In order to move from mere survival to living you need to start following your own intuition and through positive emotions make the choice towards happiness. Happiness is a choice after all. Positive emotions send a message to the higher-self proving that a certain karmic lesson has been learned and the surface of the “vinyl record” has gotten smoother. The smooth surface of the higher-self eliminates distortion in the communication channel with the higher levels of consciousness. It makes it much easier to know which way to go in order to find harmony in life and realize the potential that was given at birth. 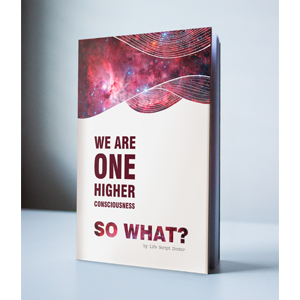 Your Higher Self is not the only body on the higher levels of consciousness. To really know what is going on with your life you need to take all the bodies into account. When their work is synchronized on all the levels of higher consciousness, you are able to reach harmony and experience fulfilling life in the world of informational paradigm. Interesting,insightful and inline with my belief system.